Join us for the exhibit opening reception of Catharsis featuring paintings and drawings from Leszek Bajena. 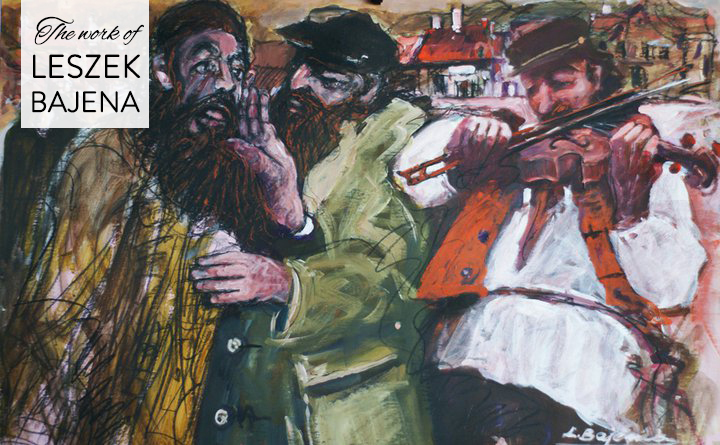 Leszek’s passionate works, with deep roots in a Polish‑Jewish cultural tradition, reflect on the universal human condition and express the hope that broad exposure to cultural diversity makes us a better, more tolerant people. Leszek Bajena, from the Pomerania region of Poland, was always interested in art since he was young. When he was thirteen, he had recieved mentorship from Polish artist Józef Charyton - this played a significant role in his career. Bajena continued to study art and completed his education at the Fine Arts Secondary School in Lublin and went on to receive his Master’s degree in Painting at the Artistic Department of Marie-Curie Sklodowska University. Today, Bajena practices many different art techniques but thrives in painting. He has participated in numerous collective and individual exhibitions, and his paintings are present in many art collections all over the world. ​Every one of us is surrounded by people of different ethnic groups. As an artist I have opportunity to educate through art.